Right now I'm really into beauty treatments. for the times in-between why not DIY? I was excited when I got an email to try the MICRO Nail ($59.99). 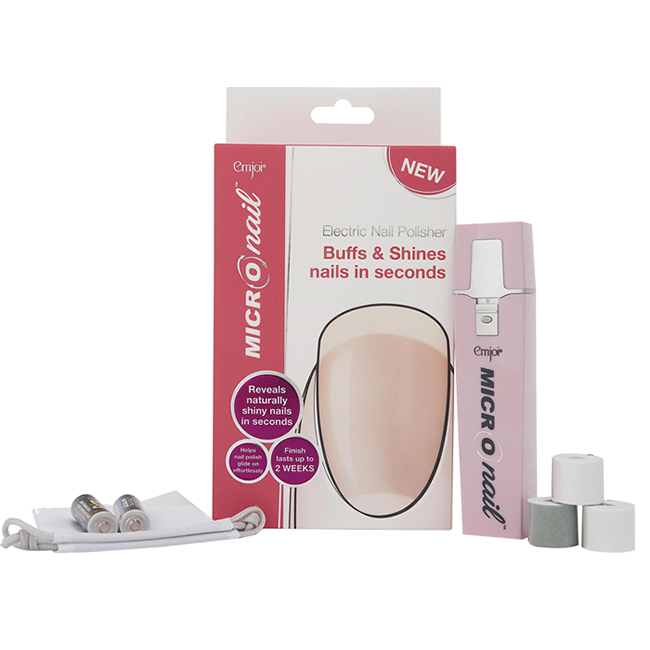 MICRO Nail electric polisher buffs and shines in seconds, instantly revealing brilliantly natural, shiny nails. Rotating at 360 degrees and up to 1,800 times per minute, the MICRO Nail has two patented rollers. It comes with a few rollers. There is the ‘MICRO Smooth’ roller. It's designed to buff away imperfections and stains. This is a common issue with people like me who get gel polishes. The other roller ‘MICRO Shine’ is the miracle worker! It gives you the natural shine. You can wear your nails without polish or add your fave colour on top! I used my mom as my nail model. The device was gentle on the nails and the process was really quick. 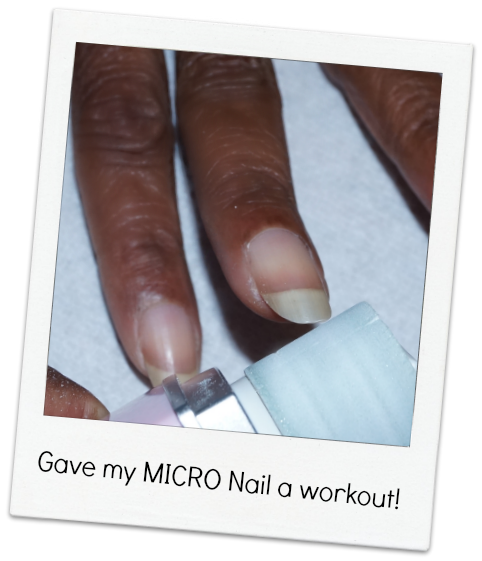 MICRO Nail is battery operated and can be found at Shoppers Drug Mart or Micronails.ca. This kit looks really neat. I'm going to check it out, as well as the brow tool you mentioned in another post!